This 8-unit residential building is located in the Jamaica Plain neighborhood of Boston. The project has been developed using interlocking duplex floor plates to optimize views and exposure to the southern light. 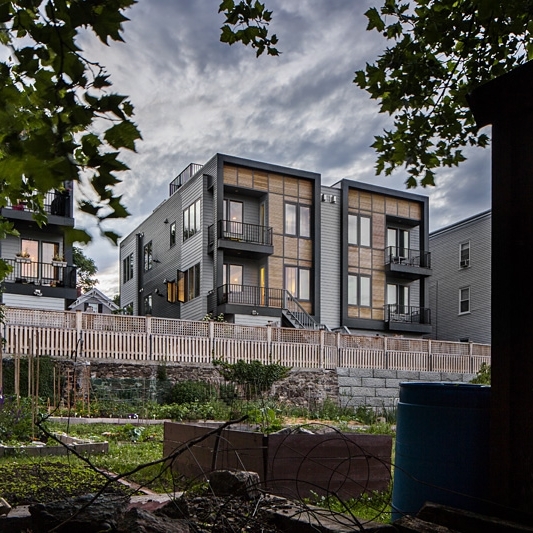 Each unit has both outdoor space and a visual connection to the adjacent community garden. The building is clad with various exposures of cement-board siding which remain as a constant as the building ages. 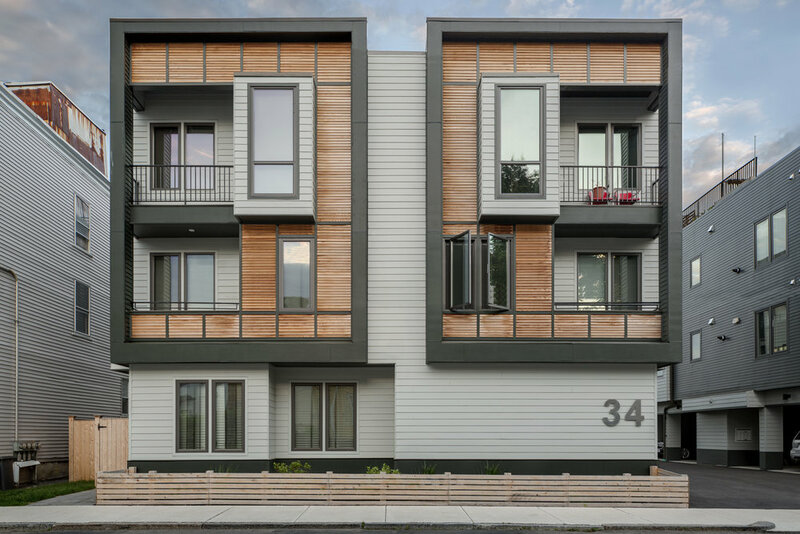 In contrast, cedar clapboards have been introduced on the street façade that will develop with the neighborhood. 90% of units were sold within the first week of listing.